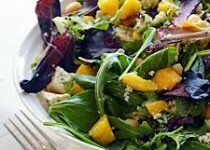 1) Toss mixed greens with Apple Cider & Garlic Vinaigrette. Toss in bacon pieces. Plate onto 4 salad dishes. 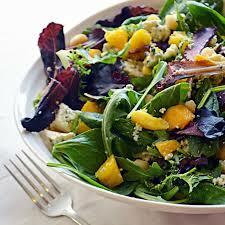 2) Garnish with orange slices and crumbled cheese evenly among dishes.